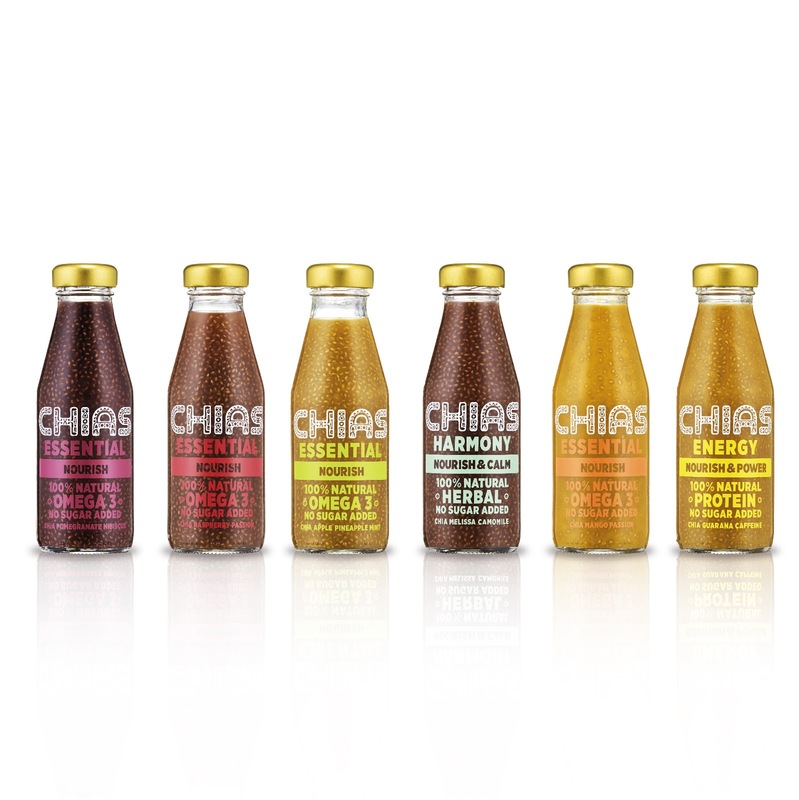 CHIAS by Chias Brothers is a popular brand of liquid snacks with chia seeds. As the brand started to evolve, there was a need to rethink and rearrange its visual identity and packaging design. 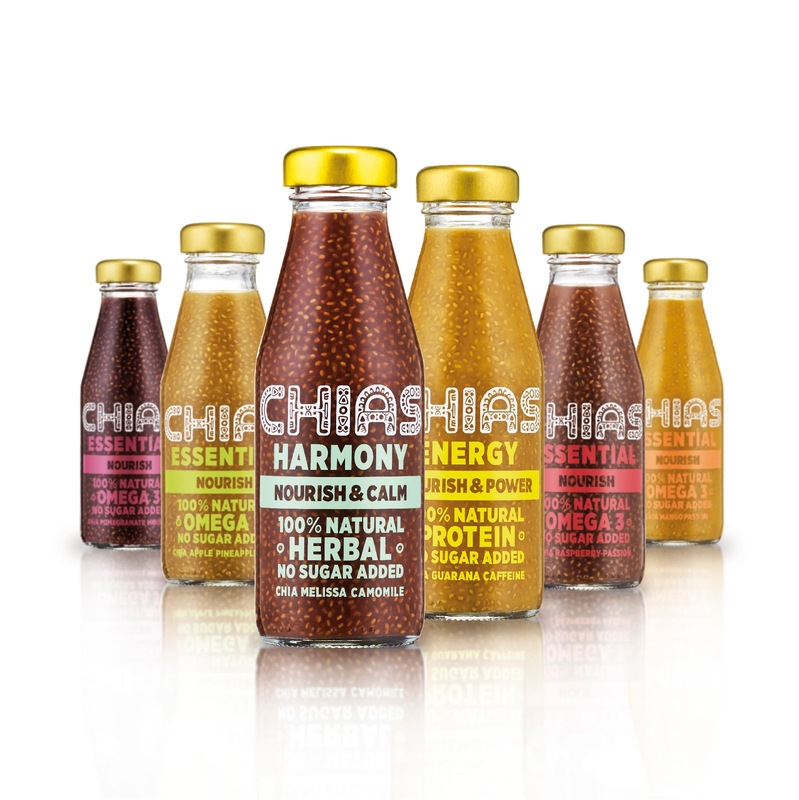 New design also had to face the competition with similar brands that have emerged on polish market due to popularity of chia based products. Our studio was responsible for the redesign of the logotype and the whole product line as well. The old design had small logo, poorly visible colors and informational chaos on the front label. We decided to make the logo more dominant and cohesive by placing it in the harmonious typographic system. By using strong, uplifting colors, different for each SKU, we created color scheme that makes it easy for the customer to navigate between different flavours. 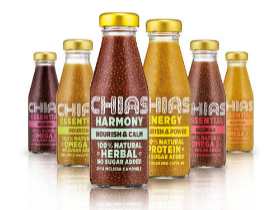 Since the chia seeds are the core idea of this healthy drink, we kept in mind to create the design that allows the customer to see what's inside. The idea behind our redesign process was to focus on the essential - bring the customer the packaging that will articulate what's important and that express "nothing to hide" attitude.